Chubby Baird Gate Company - Round pens, corral panels, farm and ranch gates, round bale feeders and more! See our full line of galvanized farm and ranch gates and corral panels! Chubby Baird Gate Company is a leading manufacturer of horse round pens and horse arenas. 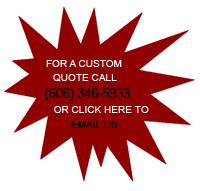 Click through to see our selection of packages, or call us today for a custom quote! Looking for a new cattle or horse feeder? We manufacture rugged, durable bunk and galvanized round bale feeders! See our selection here. Our company is also a leading supplier of water support systems for industrial poultry houses. We also manufacture greenhouses and dog kennels.